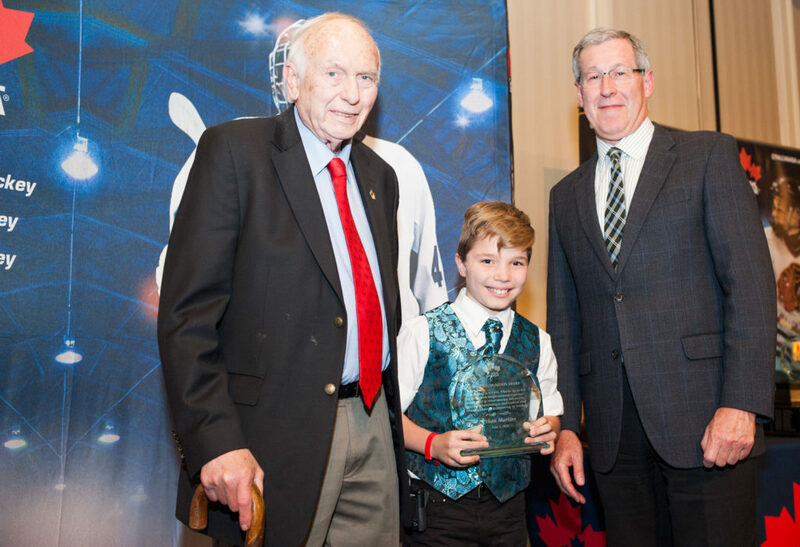 GTHL Special Recognition Award winner Ethan Martins with GTHL Immediate Past President John Gardner (left), and GTHL President Don West (right) at the 2015 GTHL Awards Celebration. 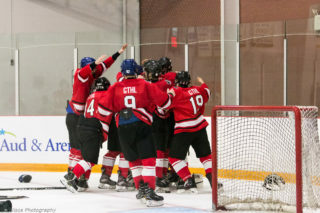 The annual GTHL Awards Celebration honours the accomplishments and perseverance displayed by members of the GTHL community. Ethan Martins (2015) and Stefan Pietrobon (2012) are former recipients of the GTHL Special Recognition Award. All Ethan Martins wanted was a glass of water. Sitting in his doctor’s office for a routine check-up, there was nothing that could quite quench the 10-year-olds thirst. 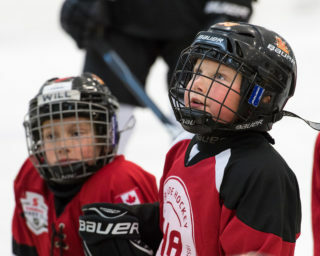 Receiving his first insulin injection at 3 p.m., Ethan was on the ice at Ted Reeve Arena only two hours later. Other than testing his blood sugar before and after games and practices, diabetes hasn’t prevented Ethan from excelling on the ice. His day-to-day life, however, is a different story. Since his diagnosis, Ethan looks up to GTHL Grad Max Domi, who was also diagnosed with Type 1 diabetes as a child. Like Max, Ethan hopes to make it to the AAA level. 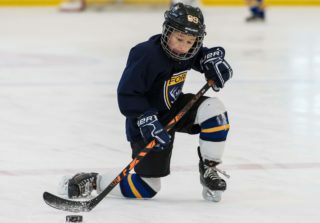 Much like Ethan, Stefan Pietrobono has played hockey since he was 5-years-old – citing the game as a passion rather than a hobby. 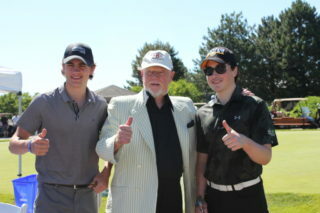 Going into his Midget AAA season, Stefan was in prime physical condition. After playing AA for a few seasons, he was pleased to be playing AAA again with the North York Rangers. Prior to heading into his second Midget season, Stefan noticed a buildup on his clavicle that continued to grow. “The last thing an athlete would ever expect would for it to be cancer,” said Stefan. After a series of doctors visits, tests, and scans, Stefan was diagnosed with stage 3b Hodgkin’s Lymphoma. While it was not always an easy road, Stefan has now been cancer free for the past six years. After receiving a clean bill of health, Stefan continued to play in the GTHL with the U21 AAA West Mall Lightning. In addition, Stefan also continued his studies – obtaining a degree at the University of Toronto in Kinesiology. 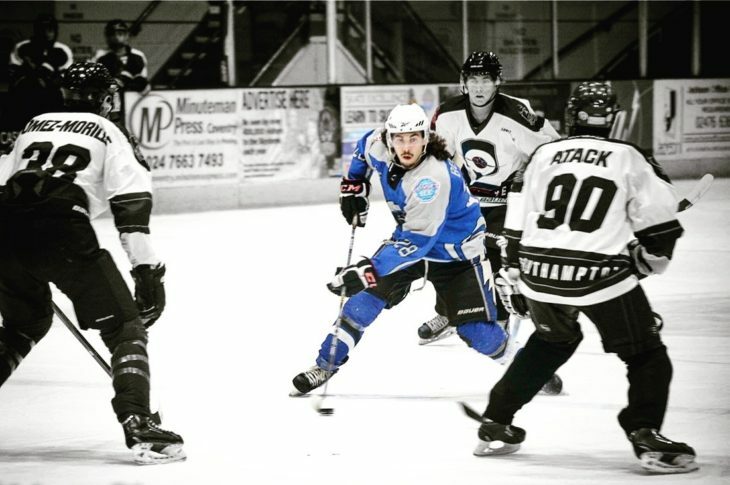 He is currently finishing up his MBA at Coventry University in England where he plays hockey on their Division A varsity team. 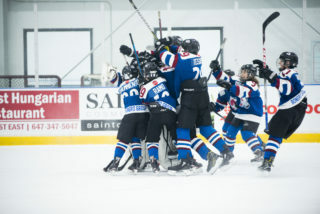 Know a GTHL player who has overcome adversity and continued to play hockey? 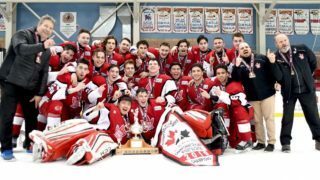 Nominate them for the GTHL Special Recognition Award.